Why doesn’t everyone use FICO? So what’s the bottom line – are they different? Differences between a credit score and a FICO score can be stark or not noticeable. TransUnion, VantageScore, FICO, Equifax, Experian, credit scores, credit reports, APR and statute of limitations: so many words and so many different types of data that drastically affect your cost of credit. So what is the difference, anyway? Why aren’t all scores the same? It’s the same information after all, right? Let’s take a look at some of the ways your credit score is different from your FICO score, as well as some of the ways they are similar. Often used colloquially (i.e. “Kleenex” for a tissue), your credit score can really be a number of different metrics based on the company pulling your credit report, the purpose for pulling it, and the algorithm they use to break down the data to spit out a result. This makes it confusing for the consumer. It’s important to understand that your credit report is the key foundation of any type of score pulled. Good and bad credit scores can vary wildly based on the company calculating and looking at it. Your report, however, will not. One of the three large credit bureaus, Equifax, Experian, and TransUnion, calculate your credit score. It is distinct from your FICO score, which the Fair Isaac Corporation created. The big difference here is simply in the weight that FICO or the credit bureaus give to specific items on your credit report. FICO is famously tight-lipped about how they actually do the calculating, but generally, they’re looking at payment history, the amount of money you already owe, the length of your credit history, and what types of credit you’re using. The credit bureaus are also looking for similar items but will weight things differently based on their algorithms. Additionally, FICO uses information from the three credit bureaus’ reports on your borrowing habits to form their score. It depends on the type of loan the lender is offering. Certain scores and reports are better able to model different types of consumers. 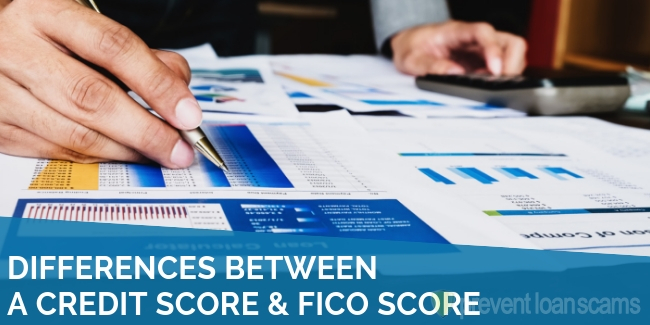 FICO is often used in mortgage transactions and some personal loans because it is believed (and marketed) that it produces a more appropriate scoring of a consumer’s ability to repay. Aside from the credit bureaus mentioned above, other companies use different aspects of your spending habits to model behaviors. For example, low income and damaged credit borrowers are traditionally very difficult to model. So, many smaller companies have popped up to produce “alternative credit data” files on these consumers, which may include rent payments, mobile phone payments and cable bills. FICO scores are also available by industry and can be tailored individually to different lenders and their products. Notice how important payment history and the amount you already owe is. This cut of nearly 65% of your credit file gives lenders a very good indication about your ability and willingness to repay new debt. Similar to FICO, right? The three bureaus worked together to get something as close as they can. VantageScore isn’t as commonly used as FICO, but is a great way to get a look at what your lender may see about your credit. Yes and no and don’t be thrown off – this can get very confusing. Equifax, Experian, and TransUnion all collect your credit data, but don’t talk to one another. So, your report may differ slightly with each. Additionally, each of those companies produces their own score based on your report. They combine this data to produce a VantageScore. FICO gets this report information from the bureaus and applies it to their on algorithm, producing a FICO score. In essence, all the foundational information is the same but it’s being run through a whole host of different algorithms and variables. It’s important that you understand how all of these scores affect your credit and which score your chosen lender is using to make credit decisions. Remember, you have a right to review the report and score produced by your lender when seeking credit. What is Your Credit Privacy Number?